Due to logistical considerations, the city’s rolling shuttle service will transport those in need of shelter to the Flowertown Elementary School shelter rather than Cane Bay High School. 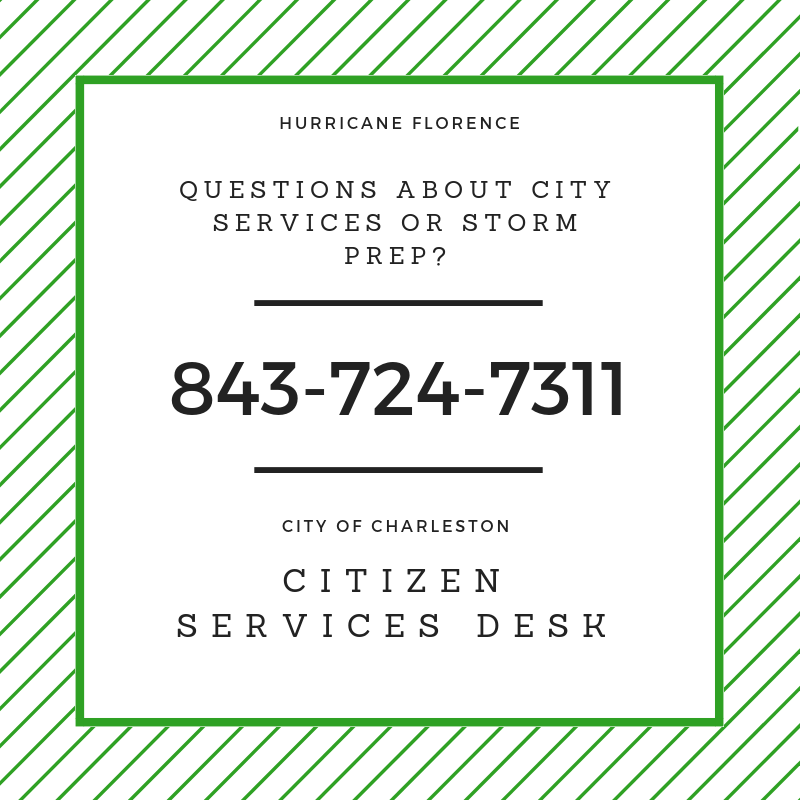 With CARTA and Charleston County evacuation transportation suspended, the City of Charleston will provide last-minute transportation to Flowertown Elementary School between 10 a.m. and 6 p.m. today, September 13. Two recreation department vans will run a police escorted, rolling shuttle service from the Citadel Mall bus stop near Orleans Road and Marion Square at King and Calhoun Streets. The vans will pick up citizens in need of transportation to a shelter, drop them off at Flowertown Elementary School and return to the pickup points. The last pickups will take place at 6 p.m.